The London Bullion Market Association (LBMA) is a member-based trade association representing the London Bullion Market and the wider global bullion market. The London Bullion Market is an over-the-counter (OTC) market comprising the London Gold Market and the London Silver Market, two very large and long-standing markets centred in the City of London. In fact, both markets are the largest of their kind in the world. These markets are wholesale in nature, in which participants such as investment banks, brokers, dealers, Exchange Traded Funds (ETFs), jewellery companies, mining companies, refiners, and central banks (in the case of gold), interact and trade with each other on a principal to principal basis. It’s important to note that the LBMA is not an exchange as is sometimes thought, and it does not in any way represent a formal trading exchange. The LBMA’s membership base is wide and far-reaching and comprises over 80 Full Members and nearly 70 associates. Many of the Full Members are investment bank entities, dealers and traders, and nearly all of the Associates are precious metals refineries from around the world. As a trade association, the LBMA’s central raison d’etre is to represent its members’ interests while attempting to oversee and control the development and evolution of the London and global bullion markets. The LBMA also liaises closely with the Bank of England, which has a vested interest in maintaining oversight in the gold market in London due to its role as gold custodian for many central banks and due to its role as facilitator of gold lending. Some of the association’s main tasks are protecting the commercial interests of its bullion bank members, maintenance of the London Good Delivery List for gold and silver, liaison with financial market regulators and the media, publication of documentation and statistics relevant to the gold and silver markets, and organising conferences and seminars. In 2016, the LBMA announced plans to merge with the London Platinum and Palladium Market (LPPM), a similar trade association for platinum and palladium which is dominated by the same set of banks. The LBMA was incorporated on 14 December 1987 as a private company limited by guarantee. The company is registered at UK Companies House under company number 02205480. Although the LBMA was “established at the behest of the Bank of England“, and although the Bank of England was the guiding hand behind its creation, the Bank is not an official Association member. The original founding members of the LBMA were in fact six influential banks involved in the London bullion market at that time, namely N.M. Rothschild & Sons Limited, J.Aron & Company (UK) Limited, Mocatta & Goldsmid Limited, Morgan Guaranty Trust Company of New York, Sharps Pixley Limited, and Rudolf Wolff & Company Limited. Notably, most of these banks are to this day, in various guises, still the most powerful voices in the Association. Following its inception, membership of the LBMA grew quickly, and by April 1988, there were 13 ‘Market Maker’ members and 48 ‘Ordinary’ members in the Association. In 1989, the LBMA for the first time began publication of Gold Offered Forward Rate (GOFO) data on Reuters’ financial terminal using forward quotes supplied by LBMA market makers. This GOFO data was supplemented by the LBMA’s publication in 1997 of a London Gold Lease Rate (LGLR) page on Reuters. The LGLR was calculated using GOFO and LIBOR means (averages). Although participants in the London OTC bullion market trade on a bi-lateral basis, they still use a number of standard documentation templates on which to base their agreements. This standard documentation includes the 1994 International Bullion Master Agreement (IBMA) and the 1997 International Swaps and Derivatives Association (ISDA) Bullion Definitions, both of which the LBMA was involved in drafting. The LBMA’s first rudimentary website was launched in 1999. The earliest known archive of this site is from March 2000. The first LBMA annual conference was held in Dubai in 2000, and has been an annual event ever since. From September 2009 until September 2014, the LBMA published data for a gold forward curve, silver forward curve and a gold interest rate swap (IRS) curve based on submissions from 9 LBMA forward market makers. In the summer of 2014, the LBMA oversaw the transition of the administration and operation of the London Silver Fix auction from the London Silver Market Fixing Limited to a new platform administered and operated by Thomson Reuters and the CME Group. Similarly, in late 2014 and early 2015, the LBMA oversaw the transition of the London Gold Fix auction from the London Gold Market Fixing Company to a new auction platform administered and run by ICE Benchmark Administration (ICE). At the end of January 2015, the LBMA discontinued the publication of GOFO, again, due to a reluctance from the forward market makers to continue to submit the data, supposedly due to regulatory and compliance fears about contributing to unregulated benchmarks or alternatively a fear that the process would become a regulated activity. As a private industry association, the LBMA operates along a membership model. There are two categories of membership, namely Market-Making Member and Full Member. There is also a third non-member designation known as Associate. As of October 2016, the LBMA had 81 members and 67 associates, however, these member and associate numbers are regularly subject to change as entities depart and join the association. Full members were previously known as Ordinary members, and this older naming convention can still be seen in LBMA documentation prior to 2015. There are 13 market-making members of the LBMA, all of which are London-based entities of global investment banks. LBMA market makers are obliged to quote bid and offer prices in one or more of spot, forward and/or option products in both gold and silver, in agreed quantities during London market hours (between 8am and 5pm London time). The delivery convention for these products is in terms of London Good Delivery gold/silver bars, for “Loco London” settlement, which means the price quoted is for unallocated gold located in London, delivered in London. The current Market-Making members are BNP Paribas, Citibank, Goldman Sachs International, HSBC, ICBC Standard Bank , JP Morgan Chase Bank, Morgan Stanley & Co International, Merrill Lynch International, Société Générale, Standard Chartered Bank, The Bank of Nova Scotia – ScotiaMocatta, Toronto Dominion Bank and UBS. Market-making members active in quoting spot, forwards and options are known as full market-making members. There are 5 of these banks, namely, Citibank,Goldman Sachs, HSBC, JP Morgan, and UBS. The other 8 market-makers quote one or two of the three products. The category of Full Member of the LBMA (other than market-making members) is open to UK or international entities operating in the global bullion market, but these entities must have a presence (subsidiary or branch) in the UK. Many of the full members are also banks, but full membership is also open to other entity types such as dealer, trader, custodian, transporter and fabricator. Full member banks and dealers, many of which are London-based include Natixis, Credit Agricole CIB, Bank of China, Commerzbank, Bayerische Landesbank, and ANZ. Full member brokers based in London include iCap, GFI Brokers, Sucden Financial, Marex Financial, Prebon Premex, and Triland. The LBMA’s Associate category is primarily aimed at participants active in the gold market internationally that are not based in the UK. The Associate category was introduced in January 2000. The major difference between Full Members and Associates is that Associates do not have voting rights at LBMA meetings or LBMA committee appointments. Associate applicants also have to be sponsored by full members when making their applications. The LBMA is run on a day-to-day basis by a team of approximately 12 full-time staff known as the LBMA Executive. The Executive team is led by a CEO. The staff also include a legal counsel, a marketing officer, a public relations officer, a compliance officer and a good delivery officer. 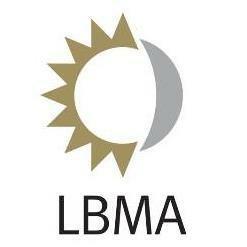 Oversight, the strategic direction and leadership of the association is provided by the LBMA Board. This Board is a recent development and until mid-2016 was known as the LBMA Management Committee. Following an amendment to the LBMA’s constitution and Articles of Association voted on at a general meeting in June 2016, the LBMA Management Committee morphed into a Board and a non-executive ‘independent’ chairman of the board was appointed. This chairman is Paul Fisher, an ex-senior staffer from the Bank of England. It’s debatable as to how independent this chairman really is given the very close and long-standing relationship between the Bank of England and the LBMA. See BullionStar blog articles ‘From Bank of England to LBMA: The ‘independent’ Chair of the LBMA Board‘ and ‘Blood Brothers: The Bank of England and the London Bullion Market Association (LBMA)‘ for more details. The updated composition of the LBMA Board now comprises representatives from 3 market making members, 3 full members, up to 3 ‘independent’ non-executive directors (one of which is the chairman), and up to 3 representatives from the LBMA Executive staff (one of which is the LBMA CEO). There are two LBMA Good Delivery Lists, one for gold and one for silver. Each list includes precious metals refineries from around the world which have been accredited by the LBMA on metrics such as quality of refinery processes and quality of bar output. The LBMA took over responsibility for the London Good Delivery List (GDL) in 1987, and started pro-active monitoring of GDL refineries in 2004. Prior to the 1987, the Lists were maintained collectively by London Gold Market entities. As part of this 2004 initiative, in 2004 the LBMA launched a gold and silver Good Delivery Referee Panel to support the oversight and development of the London Good Delivery List. This panel comprises one representative each from five of the world’s major precious metals refineries, namely Argor-Heraeus (Switzerland), Metalor Technologies (Switzerland), PAMP (Switzerland), Rand Refinery (South Africa) and Tanaka Kikinzoku Kogyo (Japan). The panel proactively monitors (Pro Active Monitoring) the refiners on the existing gold and silver lists, assesses new applicant refiners that wish to join one or both lists, and also acts as specialist technical adviser for issues relating to precious metals refining. The LPPM maintains a similar Good Delivery List for platinum and palladium, and also employs a panel of 5 Good Delivery referees drawn from the world’s leading refiners of platinum group metals. The LPPM’s panel comprises one representative from each of the Swiss refineries of Metalor Technologies, PAMP, and Valcambi, Tanaka Kikinzoku Kogyo (Japan), and Johnson Matthey Plc (UK). Notably, 3 of the refineries on the gold and silver panel, Metalor, PAMP and Tanaka, are also on the platinum and palladium panel. Also notably, there are 3 Swiss refineries on each of the panels, a point which highlights the dominant influence of Switzerland, and of Metalor, PAMP, Valcambi and Argor-Heraeus in the precious metals world. Also worth highlighting is that in July 2016, Tanaka Kikinzoku Kogyo and Metalor Technologies announced the agreed acquisition of Metalor by Tanaka. Given that both Metalor and Tanaka are members of both the LBMA and LPPM good delivery panels, then it would seem likely that their consolidation will mean a change to the membership of both good delivery lists, since otherwise the combined merged entity would be represented twice on each panel. For further details of the Tanaka – Metalor acquisition, please see BullionStar Gold University . The LBMA’s pro-active monitoring programme (PAM) reviews on an annual basis the extent to which the good delivery refiners meet the requirements for inclusion on the Good Delivery List in terms of minimum refined production and company net worth. As such, each refiner on the List is required to submit production output data and audited financial data to the LBMA Executive on an annual basis. The LBMA also operates a ‘Responsible Gold Audit Programme’ for the gold refiners on the List. This audit, which is carried out by independent auditors, checks the extent to which refiners comply with the LBMA’s ‘Responsible Gold Guidance’, which is a set of standards governing supply sources in the global gold supply chain. The period 2014 to 2016 has witnessed the LBMA substantially increase its power and control over all wholesale precious metals markets operating out of London. This includes the acquisition of control over the London gold and silver fix auctions and their intellectual property, the de facto control over the administration of London Precious Metals Clearing Limited, and a merger between the LBMA and the London Platinum and Palladium Market. These developments underscore the reality that the core bank participants of the LBMA, the London Gold Market Fixing Limited, the London Silver Market Fixing Limited, the London Precious Metals Clearing Limited, the London Platinum and Palladium Fixing Company Limited, and the LPPM, are, and have always been, the same consortium of bullion bank players operating behind the scenes, just with different hats on, projecting the guise of separation. In the London bullion market, gold and silver trade clearing is provided by 5 clearing banks which together form the private company London Precious Metals Clearing Limited (LPMCL). These five banks are HSBC, JP Morgan, Scotiabank, UBS and ICBC Standard Bank. All of these banks are LBMA market making members, and 3 of these banks, namely HSBC, JP Morgan and Scotia, are represented on the LBMA Board. In late 2015, the LBMA announced that henceforth it would begin providing executive and administrative services to LPMCL. This essentially means that LPMCL, although it is technically a separate company, has now become consolidated under the LBMA umbrella. Although the LBMA stated in May 2014 that it was merely helping the London Silver Market Fixing company (run by HSBC, Deutsche Bank and Scotia Mocatta) to run a competition to find a new platform operator for the silver fix auction, it soon became apparent that the LBMA was actually taking over ownership of the new auction. On 15 August 2014, the same day the new silver fix auction was launched, the LBMA registered trademarks at the UK Intellectual Property Office for both “LBMA Silver Price” and “LBMA Gold Price”. Note that at that point in time, the competition to transition the London Gold Fix auction to a new platform had not even been launched. On 28 November 2014, the LBMA then registered the trademarks “LBMA Platinum Price” and “LBMA Palladium Price”, and announced on 1 December 2014 that London Platinum and Palladium Fixing Company Limited had asked the LBMA to take ownership of the intellectual property of the platinum and palladium fixing prices. On 1 December 2014, the LBMA also registered a new fully-owned company called Precious Metals Prices Limited (company number 09333933) to hold the intellectual property rights of the LBMA Platinum Price, the LBMA Palladium Price, the LBMA Silver Price and the LBMA Gold Price. Talk of a merger between the LBMA and LPPM first arose in 2014 and gained traction in 2015 as the LBMA placed this idea into the market. The LPPM is also an ‘Association’ and was also established in 1987. However, the LPPM was set up via a ‘Deed of Establishment’. The official combining of the LBMA and LPPM was voted on and endorsed at the LBMA’s general meeting on 29 June 2016, with the actual merger happening after that. This entire series of manoeuvres above thereby positions the new larger LBMA as a very powerful unified force in the London precious metals markets, with the key players in the organisation still being the world’s large investment banks, who have now arguably strengthened their positions through a more far-reaching and all encompassing organisation.